When: 14 June 2018, 10:30-15:30, with tea and coffee available from 10:00. What: This workshop is sponsored by the Wellcome Trust’s Public Engagement fund, as part of a larger project on ‘The Role of Women in the Spread and Adaptation of Biomedical Knowledge in Uganda, 1897-1979’. It is a one-day event that will offer a unique opportunity to share experiences and exchange knowledge between medical practitioners, policy experts, academics, and charitable organisations who have been involved in endeavours to improve maternal health and reduce maternal mortality in Africa. The workshop will also facilitate the exchange of ideas between UK- and Africa-based practitioners. The day will be structured to include presentations by invited speakers and time for panel discussions. There will then be a roundtable discussion to bring together the various perspectives, experiences, and expertise of all attendees and participants with the aim of creating a collaborative platform upon which to speak to past and present issues relating to maternal health in Africa, in particular in relation to maternal mortality. 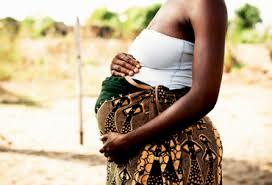 Discussion will encompass such topics as the role of traditional birth attendants in promoting maternal health; historical approaches to maternal health in Africa; critical perspectives on international policies aiming to promote safe motherhood; and the challenges and successes of current maternal health initiatives. Programme: Below is an outline of the programme. Speakers will give short talks, followed by a roundtable discussion for all participants.